Diversity is an issue on the lips of many who hold positions of responsibility nowadays, and with good reason. Treating people equally no matter what their gender, race or age is essential in a modern and forward thinking society. To be thought less of because of characteristics you may not be able to change (or want to change), can be a dreadful experience and should be challenged. During recent professional development training I was able to spend time reflecting on the subject of diversity. After I had given the concept some thought I came to the conclusion that not only is tolerance and acceptance of difference the right thing to aim for, but also that it is often the best thing to aim for. Consider a golden wedding ring. It is well known that the higher the gold content, the softer the metal and therefore the less hardwearing the band is. Only when the gold in the band is mixed with other metals does the ring become more resilient, more likely to endure and ultimately stronger. If we apply the same logic to society, where people with different backgrounds, talents, perspectives and abilities come together as one, surely the outcome will be a richer, more flexible and more skilled end result? Many people with physical disabilities I know have come up with ingenious ways of getting round the practical problems their disability has put in their path. They often apply that adaptable thinking to many different areas of their lives, with creative and novel approaches to things. While there are many people who would like to be a celebrity Formula One racing driver, the person going round the track in the car is only a very small part of the story, backed up as they are by a small army of engineers, mechanics, designers and safety specialists. There are lots of different roles to be fulfilled in our society, and having a wide pool of diverse people to take on those roles will more than likely benefit everyone. All it takes is for us to commit to seeing that even though there may be differences in the way we go about things, the way we dress and what we believe in, we are all worth just as much as people and all have just as much to contribute in our own way. 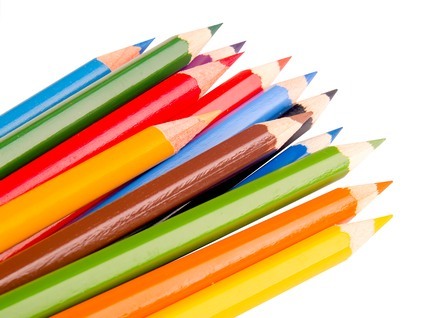 Like the colouring pencils in an art set, each offers something different yet equally necessary. After all, you wouldn’t want to live in a world made up of only one colour, would you? I know I wouldn’t!